This update was written by Alison Flowerdew, parent, and Yarmouth Education Foundation board member. The grant for this opportunity was funded by YEF. There is a lot of excitement in room 410 at YHS! 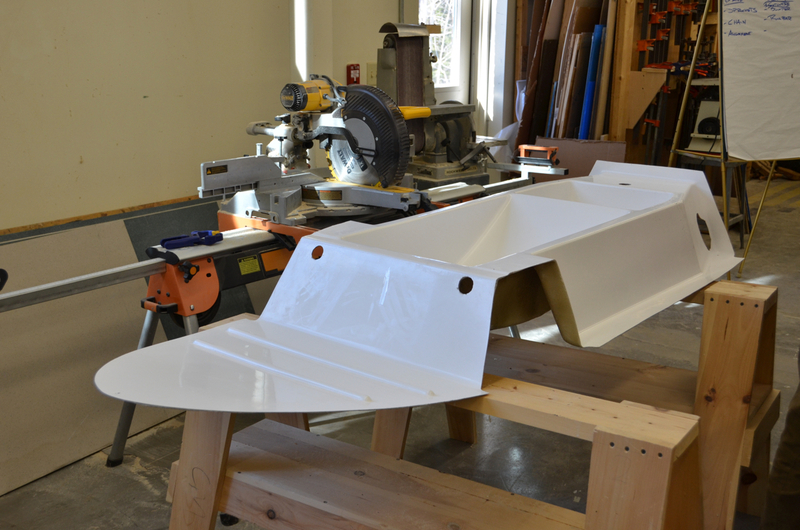 That's because the Electric Car Design and Build class is busy assembling their electric car for their big race in May. 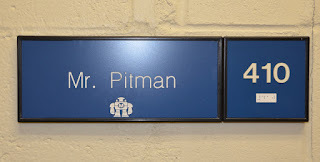 Tom Pitman is in the driver's seat (for now, anyway....)! 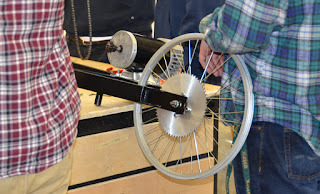 This class is made up of Sophomores, Juniors and Seniors and today they were working on building the bumper hoop, the steering controls and the drive train (pictures enclosed). They are hoping to finish building the car by the end of March so they can spend the month of April practicing their driving skills. 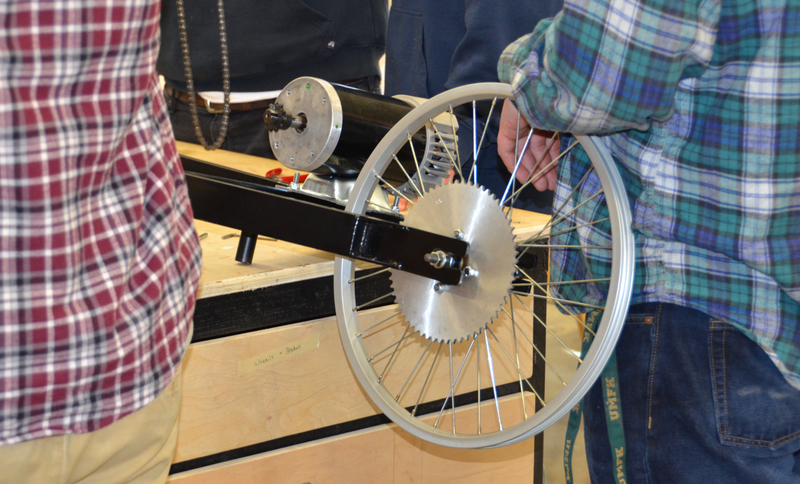 They want to be fully prepared to race their electric machine at the Lime Rock Motor Speedway in CT on May 18th. There are several different classes that compete at this race including, the novice class, the modified class, the super modified class, the solar power class etc. YHS will be competing in the novice class and will be driving against schools from up and down the east coast. YHS is one of only 2 high schools in Maine to compete in this race (the other being Noble High School). Go Clippers! The race on May 18th is all about endurance. The goal is to see how many laps you can complete in one hour. During that hour, there has to be at least one pit stop. During the pit stop, the students will check their car and change drivers. The car must complete the 1 hour race using the same battery the entire time. 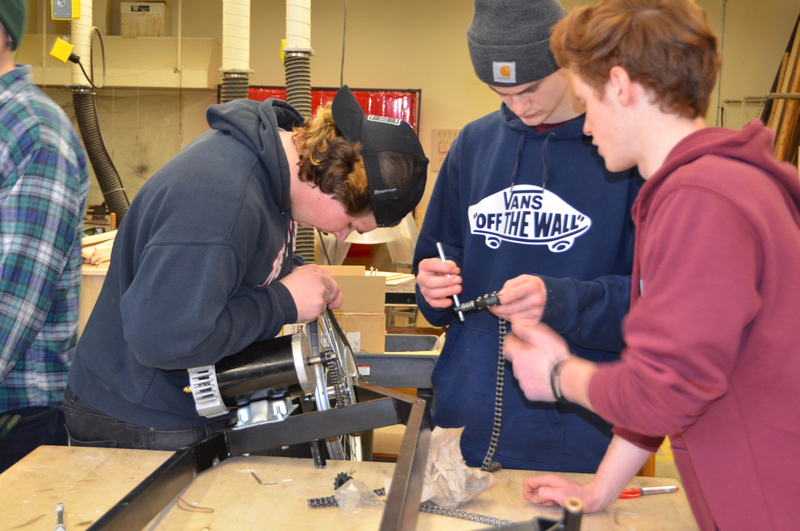 Each car will have 2 drivers on the day of the race, but in case you are wondering, all the Yarmouth students will be able to drive the car in April during the test drive stage. When this class was originally offered, there was an overwhelming response from the students. So much so, that YHS partially funded a second electric car! So, there will be two cars and two classes heading to CT on May 18th. Mr. Pitman often finds students working on the cars before and after class. The students have said they are so excited to finally put their math skills to use in the real world. The kit came with a 42 page instruction manual. Bring on the math! 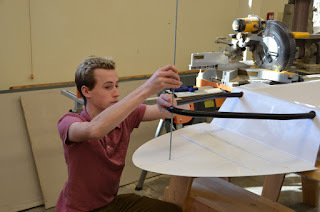 Once the race is over, the students will break down the cars so that future classes can rebuild them for next year's race. Mr. Pitman's ultimate goal is to build a car and enter it in the solar powered class one day. And the fun doesn't stop there. They are hoping to drive down Main Street during the Clam Festival parade, showing off their fancy electric cars. They are working on getting stickers for the cars to showcase their sponsors (YEF, Coastal Maine Hardware and Batteries Plus etc). Let's talk stickers....how big is our largest YEF sticker?? Tom said he'd like to put a YEF sticker front and center on one of the cars. If we don't have one big enough, Tom said he'd order a decal. It might be fun to have some YEF stickers for the helmets. Can we send some Tom's way? Tom - Thank you so much for letting me come into your class room today. I can't wait to come back in April to take a picture of the final product! 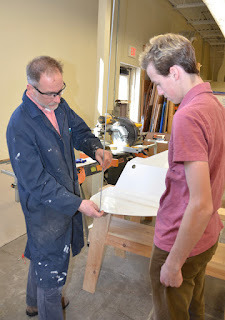 Thank you for bringing this grant to life for our high school students!